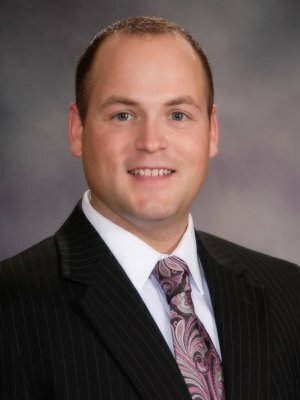 Jeff grew up on a 3rd generation family farm outside of Columbus, NE and incorporates the hard working values he gained there into helping his clients. He goes above and beyond client expectations with the utmost integrity and service. Specializing in a comprehensive and holistic approach, he thoroughly walks each individual through their entire financial situation from start to finish, making sure each need and goal has a customized financial strategy. He enjoys working with families, pre-retirees and business owners, and gets excited when clients set goals and are motivated to achieve them. Jeff is passionate about his career and has always been drawn to the financial industry. He attended the University of Nebraska–Lincoln where he received a Bachelor of Science degree in finance. Before joining Renaissance Financial, he spent six years in the finance field. He has attained his Life Accident and Health Insurance Agent license, as well as FINRA Series 7 and 66 registrations. He continues to be a student of the financial industry, staying current with information that will benefit his clients. Outside of the office, he supports Angles Among Us and is an alumni of the Delta Tau Delta Fraternity. Staying close to his family farm, Jeff lives in Southwest Omaha with his wife, Jenna, and their two sons, Braylon & Brock. They are members of St. Charles Borromeo Church and enjoy being active in their community.